New Hampshire has broken all the records in online poker because of the numbers of residence players that have participated in online poker in 2009-10, within six month. If you consider the fact that it only has 1.3 million people living in this state (that is below average) then it is a very remarkable achievement. According to the study of PokerScout, a website that measures online poker activity of poker offering states from 2006 has revealed that one percent of people in New Hampshire have played online poker. That is the highest number (per population persentage) in the entire nation. That clearly indicates that New Hampshire is the perfect place where online poker will provided great results. The iconic Nevada was on the second place in the list with very minor difference and that is clear indication that it is really hard to understand which states of United States are in favor of online poker. After these two states Alaska and North Dakota comes in the list of highest number of people, playing online poker. It is interesting fact because most of the states are extremely cold and that could be the reason why people loved online poker. 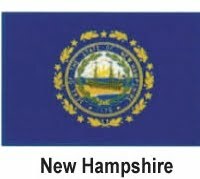 At the present moment there is no push from lawmakers or any other organization to make online poker legal in New Hampshire. In 2013, a bill was introduced for increasing the number of poker tables but that failed to get required votes. That made serious impact on the chances to play online poker legalized. This was major set-back from the authorities that has made impact on online poker legalization process. There are many new poker rooms present in New Hampshire as per records of PokerScout studies because of vigorous poker community. PPA or also known for The Poker Players Alliance have helped in writing the poker bill but unfortunately that was lost in the Casino Debate. One of the biggest problems that online poker faces is the elected people are not well aware about the role of poker industry in making great revenue for the state. Even though PPA and American Gaming Association has made every possible option in making online poker legal but the lawmakers are not showing any interest at all. Main reason is that only one percent of people are playing poker and one percent votes don’t make any impact on the results. But if majority of people and groups will work together then they can help in making online poker legal. Governor is the ally of online poker that is pushed hard for expending the number of table-game in poker and it was supported by the lawmakers that are in favor of making online poker legal. When Can I Play Online Poker in New Hampshire? There are no pending bills or debates for making online poker legal and New Hampshire people need special help from lawmakers to play online poker from their house. The neighboring states such as Vermont, Maine and Massachusetts has made online poker legal and now they are enjoying great revenues.